NGC 6334 is at the upper right. 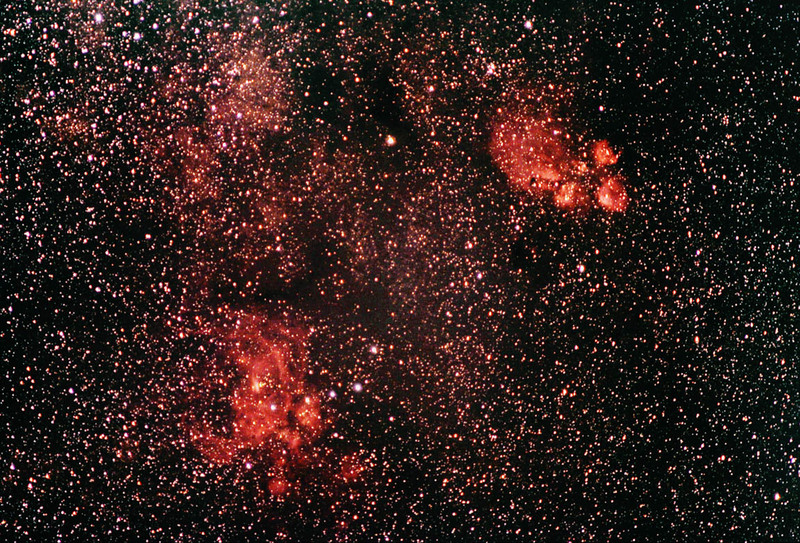 It is aptly named the Cat's Paw Nebula due to its distinctive shape. The nebula to the lower left is NCG 6357. This is sometimes referred to as the War and Peace Nebula. Images were calibrated, aligned, and combined using ImagesPlus and adjusted in Photoshop. Taken at the Nebraska Star Party on 7/13/07.